Mark handled his first divorce cases in the mid-1980s as a law clerk while in law school. After becoming a lawyer in 1987, Mark moved back to Seattle, where he worked on business, construction, tax, real estate, estate planning, and family law matters. Over time, divorce and family law became Mark’s main focus and he earned an excellent reputation in the courtroom and at the negotiating table. Mark’s experience includes most everything that arises in divorce and family law, including complex issues in parenting, business and real estate, and finance. Colaborative Practice SeattleIn 2003, Mark found his way to Collaborative Divorce and mediation. He enrolled in classes and did the necessary work to build skills and gain experience assisting clients to reach agreements outside the legal system. In January 2007, Mark finished his last family law trial to become a full-time Collaborative Divorce lawyer and divorce mediator. He now works exclusively to help clients reach agreements without court intervention. Mark also added a Certified Divorce Financial Analyst® certification to better help clients address important financial questions for their futures. With his experience, Mark understands the challenges of divorce, and can help clients achieve reality-based solutions that are supportive of their long-term goals and interests. 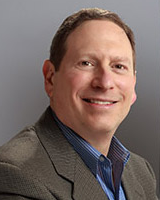 Mark Weiss – Divorce AttorneyMark is a Fellow of the American Academy of Matrimonial Lawyers, which reflects recognition in the area of family law and meeting exacting standards. Mark was rated among the “Top 25” Family Law attorneys in Washington by Washington Law & Politics Magazine in 2009. He has received numerous awards and honors, including the 2018 “President’s Award” from Collaborative Professionals of Washington, the 2005 “Attorney of the Year” award from the Family Law Section of the Washington State Bar Association, the “Super Lawyer” designation from Washington Law and Politics magazine every year since 2007, the highest possible rating by the website Avvo, recognition by Best Lawyers in America, and an “AV” (preeminent) peer-review rating by Martindale-Hubbell. Mark has taught and written extensively about divorce and about dispute resolution, including as a contributor to journals and books. He trains other professionals in the Collaborative Divorce process, and is a co-founder of the Seattle Collaborative Law Training Group. Mark lives in Seattle with his wife and loves to ride his bicycle. Finding a good fit for a divorce mediator or Collaborative lawyer is an individualized decision, and the personal fit with your lawyer or mediator is an important criterion. It’s easy to learn whether Mark’s services and fit are right for you. Would you prefer making your own future life choices instead of being told what to do by a judge? Are you willing to do the work necessary to reach agreements? I help people who seek amicable agreements in their divorce or separation. I work with clients who wish to commit to approach their divorce constructively, by working towards negotiated resolutions with integrity and dignity. I use respectful approaches that help preserve the ability to co-parent in the future, ensure all have the information needed to make wise financial decisions, and prevent escalating conflict. I’m a Seattle divorce attorney, mediator, and Certified Divorce Financial Analyst® with over 30 years of experience, skilled in helping clients with complex financial and parenting matters, and dedicated to helping clients and their families stay out of court and reach better outcomes.